A great group of Members joined us in spectacular Del Mar, CA U.S.A. for the 2018 Summer Championship. 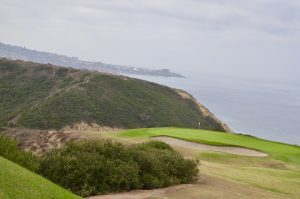 Fairmont Grand Del Mar is truly a world-class resort and with additional rounds at Torrey Pines South Course, Maderas Golf Club and Del Mar Country Club, members were treated to outstanding golf, weather and service all week. We are pleased to once again utilize the Google online photo-sharing service to share hundreds of photos from the week with you. Many thanks as always to Gigi Johnson for her tireless efforts and fantastic photos which she is again gracious to share with all of us. Please take a moment and use the following links below to view the photos that help capture our experiences. Finally, thanks to the great group of International Seniors members who participated in the event, renewing old friendships and creating new ones for which International Seniors is known. Please also find below a link to final results, highlighted by the fantastic play of Matt Blankenship who played great golf all week in capturing the Championship Division title for Champion of the 2018 Summer Championship!! Share the post "2018 Summer Championship"